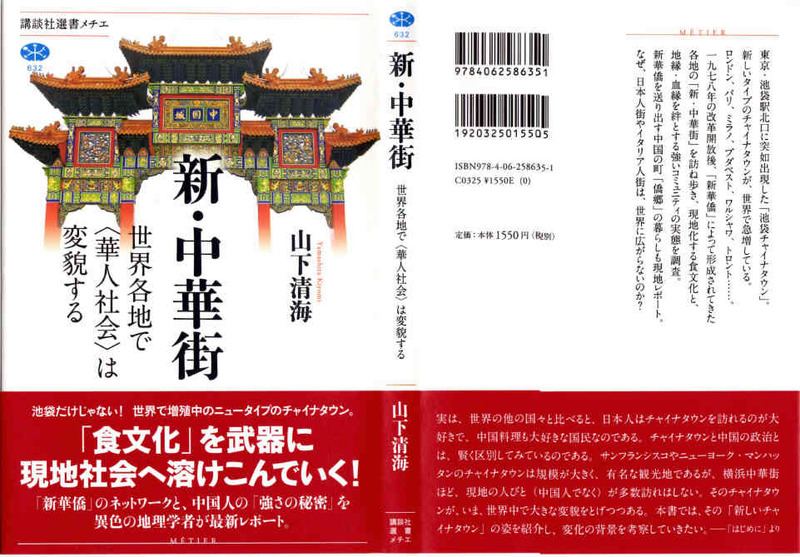 新・中華街 －世界各地で〈華人社会〉は変貌する－ 講談社（選書メチエ），214p.，　2016年9月10日刊 1,550円＋税＝1,674円 最新刊 ! 2003年　Formation and development of Chinatown in Japan: Chinatowns as tourist spots in Yokohama, Kobe and Nagasaki. 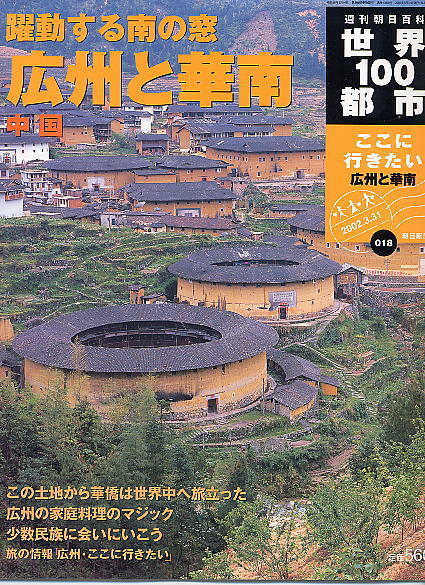 Geographical Review of Japan （日本地理学会英文誌）, Vol.76, 910-923. 2013年3月　地方小都市における商業の役割と機能－富山県入善町中心市街地を事例に－ （市川康夫・周　雯婷・金子　愛・高橋　淳・劉　玲・中村昭史・山下清海）　人文地理学研究（筑波大学大学院生命環境科学研究科），33号，29-66. 2013年4月　Ikebukuro Chinatown in Tokyo: The First “New Chinatown” in Japan. Wong, Bernard P. and Tan Chee-Beng eds.“Chinatowns around the world: Gilled ghetto, ethnopolis, and cultural diaspora” Brill, Leiden, The Netherlands, 247-262. 2016年3月　茨城県大洗町における日系インドネシア人の定住化要因－水産加工業における外国人労働者の受け入れ変遷の分析を中心に （金　延景・栗林　慶・川口志のぶ・包　慧穎・池田真利子・山下清海） 地域研究年報（筑波大学人文地理学・地誌学研究会），38号，31–59. 2016年3月　茨城県大洗町における海浜観光地域の継続的発展要因 （渡邊瑛季・阿部依子・伊藤瑞希・猪股泰広・王　瑩・名倉一希・松原伽那・山下清海） 地域研究年報（筑波大学人文地理学・地誌学研究会），38号，1–29.